Finally we can take a Muffinn out on adventures without having the nightmare of breaking it. 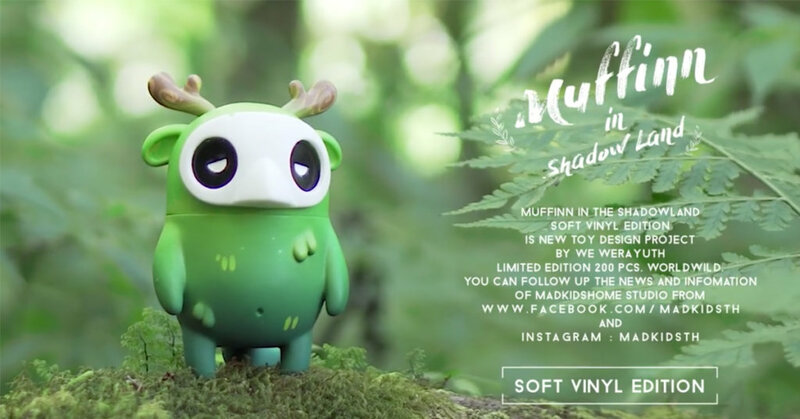 Muffinn is ready to present to you all a Soft Vinyl Edition! Looks pretty on point compared to the resin counterparts! Now with the vinyl release confirmed, this should make it a little easier to own a Muffinn in the near future. Soft Vinyl Edition $65 USD. 06:00 PM Thailand Time on Facebook comment 1+ on the latest photo at https://www.facebook.com/madkidsTH/ * please note the photo will only appear at the time stated. We pray for MADKIDs to turn “Colic and Hand puppet” into vinyl too! ok, let’s not get ahead of ourselves, baby steps. Stay tuned for further updates and release info.